Party planning is usually all business; make the guest list, book the venue, hire a caterer, etc. Once you make it to the attractions part of the planning, it’s all fun and games. What types of games and attractions you’ll choose for your event might depend on what age your guests are (i.e. are there any children invited?). It’s always a good idea to choose games that can be fun for everyone attending your event. Therefore, the activities or games you choose must be versatile and interesting to all ages. Our rock climbing inflatable wall is a hit at every party! This rock wall isn’t just for the experienced climber; it’s great for climbers of all degrees. It’s a perfect way to keep your guests engaged by coming back all evening to conquer “the wall.” We also offer non-inflatable rock walls if you’d prefer. This is a great option for sports-themed events or after-game parties. Step into the ring—the inflatable ring! That’s right, you have the opportunity to box with your boss at a corporate event, or take bets on who will win a boxing match at your birthday party. This is a great way to take out that pent-up aggression, in a padded environment, of course. The boxing ring has been a long-time favorite of our clients, and it never seizes to wow the crowd. There’s always a line of guests waiting at the boxing ring—you might even get two! Speed pitch is a great game for baseball or sports-themed parties. Using radar technology, the baseball speed pitch reports the pitching speed digitally for all to see. Also perfect for after or pre-game parties, speed pitch ramps up the competition and has guests competing for who is the fastest pitcher in the bunch. You can even have a special certificate made for the evening’s fastest pitcher! Remember this old favorite? Well it just got cooler. Twister is one of those timeless party games that allow people to let their guard down and turn into a giant human pretzel with a group of fellow party guests. This game never gets old, and never gets less entertaining to watch—it’s even fun for other guests to watch! 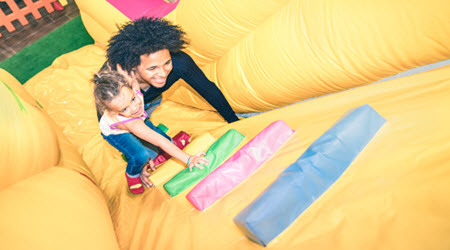 Inflatable party games and activities help make events feel unique—it’s not everyday you show up to a party with a giant inflatable boxing ring! Not only do they make for excellent photo opportunities and video footage, they give everyone a show. Inflatables are great for all events, whether it’s a bat mitzvah, bar mitzvah, birthday party, corporate event, or black-tie event, inflatables can spice up the evening and make it memorable. Furthermore, you can choose to have an attendant help set it all up and monitor it throughout the evening to make sure guests are kept safe. The expert event planners here at Creative Event Services have helped to create some of the most memorable parties near the areas of Boston, Hartford, and New York. 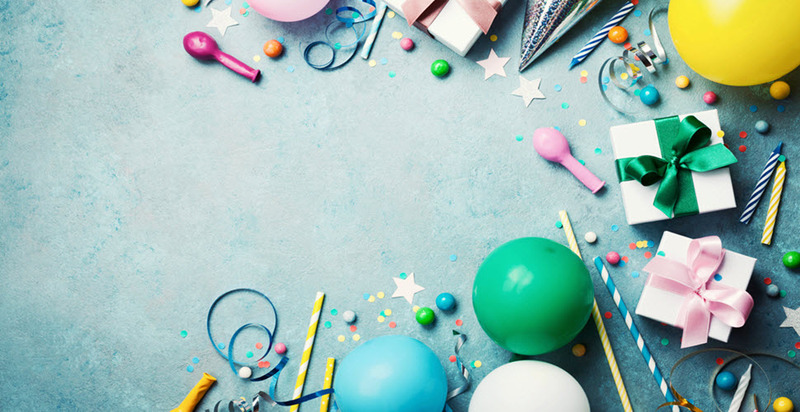 Our approach to party-planning is simple; make choices that will keep the guests content, entertained, and enjoying themselves—this will create a memorable event. Inflatables are a popular option of ours because our clients see the value in creating an atmosphere where people can let go and have a good time. It helps people loosen up, welcome a friendly challenge, and take home fond memories. If you are planning an event and have questions about our inflatable options, please contact us directly for more information!